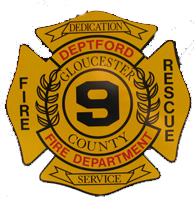 On Wednesday October 3, 2018 at 2152 hours, The Deptford Fire Department along with the Woolwich Fire Company and the Westville Fire Department were dispatched to the New Jersey Turnpike for a commercial motor vehicle crash. B/Chief 9201 responded and was advised that a tour bus had collided with a tractor trailer. As 9201 arrived, debris was found all over the roadway from 20.2 mile marker to the crash site. A Greyhound passenger bus had collided with the rear of a flat bed tractor trailer carrying a full load of sheet rock. There was a second tour bus involved. The greyhound bus had 23 passengers plus the driver. Several of the passengers advised that they had minor injuries. The truck driver stated he was not injured. 3 BLS units were on the initial dispatch and 3 other BLS units were summoned to the scene. Squad 921 on their arrival secured a safe zone by shutting down the outside lane of the turnpike, giving an avenue for the BLS units to arrive, treat, and depart the scene. Crew members from Squad 921 and the Westville Fire Department assisted with the triage being performed and after everything had settled. 4 people were transported to a local hospital and the remainder of the passengers boarded another Greyhound bus. The other tour bus had minor damage and no injuries. All units cleared with the exception of Squad 921, which maintained the safe zone by keeping the outside lane closed for the tow service to prep the vehicles involved for removal.